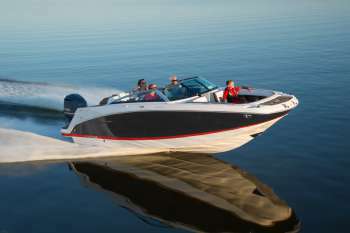 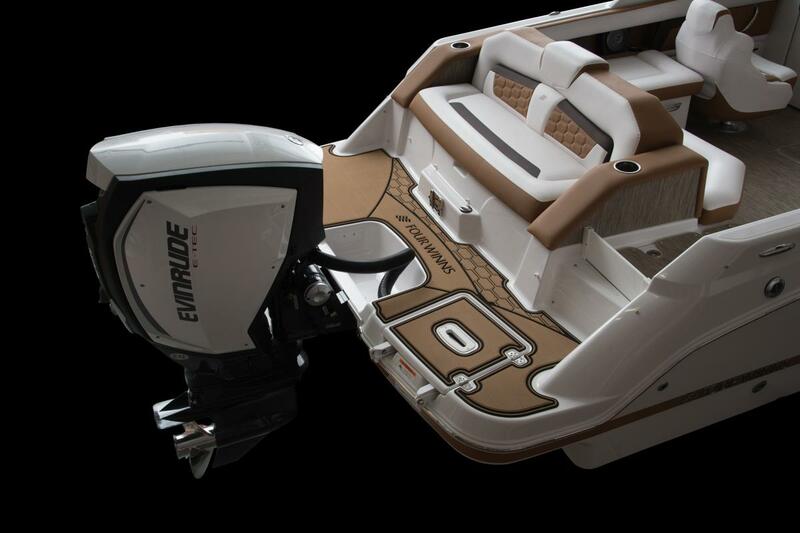 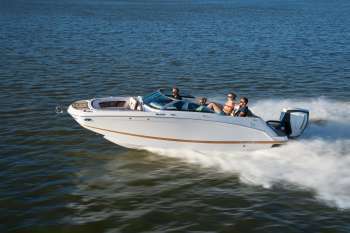 Looking for a roomy outboard powered deck boat? With the HD 220 all your needs were taken into consideration. 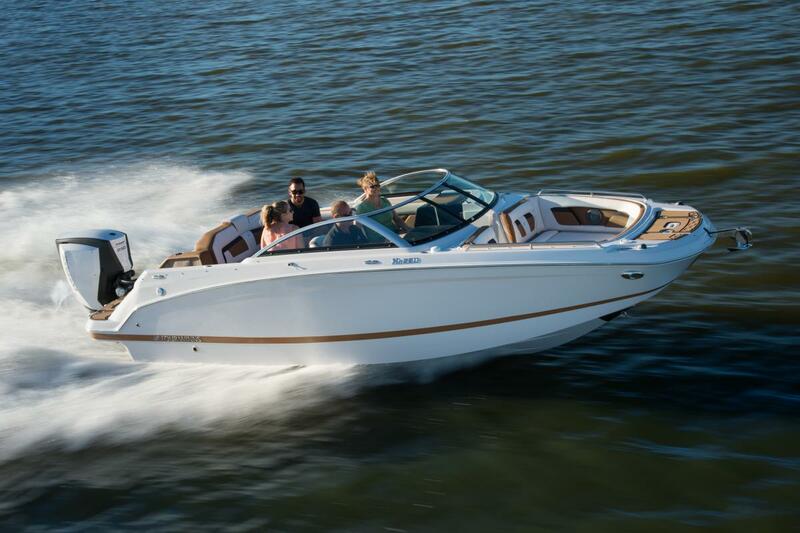 Keeping what it means to be luxurious in mind, the interior is furnished with gorgeous upholstery, and bucket seating so you can truly relax. 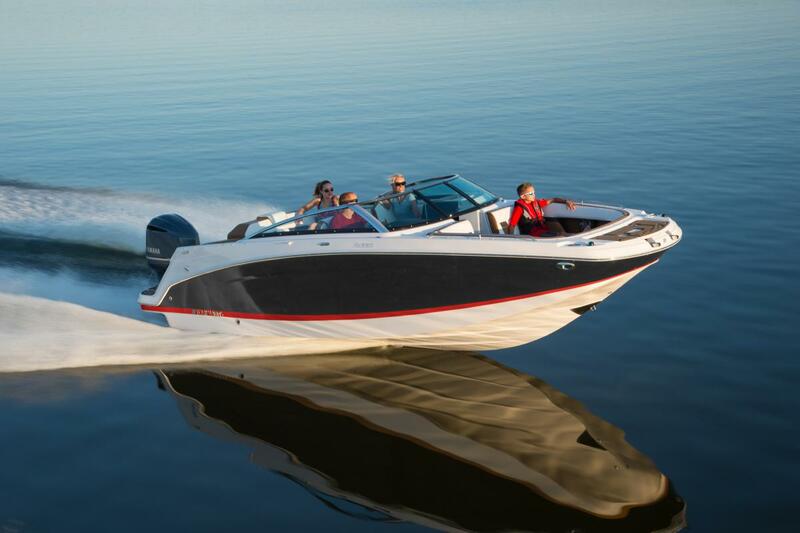 The generous swim platforms provide plenty of space when hanging out on the stern while the enclosed head w/ porta pottie deliver easy access when in need. 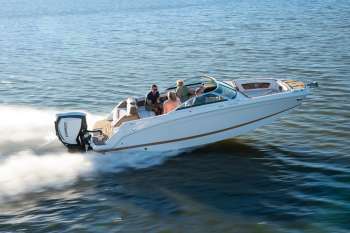 The HD 220 is always ready for a calm day on the water or an exciting adventure; all it needs is the family and a captain.